When losing weight, the first thing you need to address is your calorie intake. The key to weight loss is being in a calorie deficit, where you burn more calories than you consume. 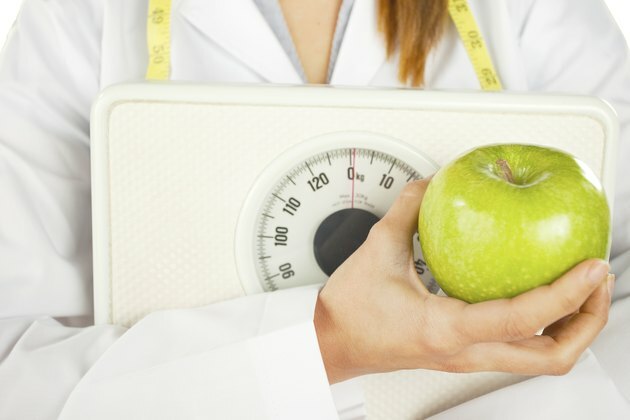 Whether 1,200 calories is the right amount for you to eat to lose weight depends on a number of factors, including your height, weight and activity level. Losing weight requires you to be in a calorie deficit. How many calories you need to eat depends on how many you burn on a daily basis. The United States Department of Agriculture suggests that most women will need between 1,600 and 2,400 calories per day to maintain weight. The more active you are, the more calories you need, but as you age, your calorie needs drop slightly. A moderately active 19- to 20-year-old woman, for instance, needs around 2,200 calories per day for weight maintenance, while a moderately active woman of 51 or over needs around 1,800. Getting into a calorie deficit means eating less than your maintenance intake, which will result in weight loss. According to the University of Illinois, a daily deficit of 500 to 1,000 calories will lead to 1 to 2 pounds of weight loss each week, as it takes a deficit of 3,500 to lose 1 pound. If your maintenance calorie intake is 2,000 calories, a 1,200 calorie diet will be a deficit of 800 per day, or 5,600 each week -- enough to lose just over 1 1/2 pounds. Eating 1,200 calories per day is low enough for most women to lose weight. The National Heart, Lung and Blood Institute actually give a basic recommendation that eating 1,000 to 1,200 calories each day will help most women lose weight safely. This does depend on your lifestyle and current weight though. These figures are just a guide and need to be adjusted to fit individual needs. Rather than just dropping straight to 1,200 calories per day, take a minute to look at your actual calorie needs. If you're highly active, younger and have a larger build, you may be able to lose weight eating a much higher calorie intake, and dropping too low could lead to lethargy, energy crashes and hunger pangs. Going down to 1,200 calories when you don't need to can lead to muscle loss, a slowing of your metabolism and could leave you deficient in certain nutrients, warns Kelly Brownell, a professor at Yale University, for an article on the "Shape" website. United States Department of Agriculture: Estimated Calorie Needs per Day by Age, Gender, and Physical Activity Level.